The 2016 NFL season’s first two weeks are in the books, which means it’s time to look at Week 3’s picks against the spread. 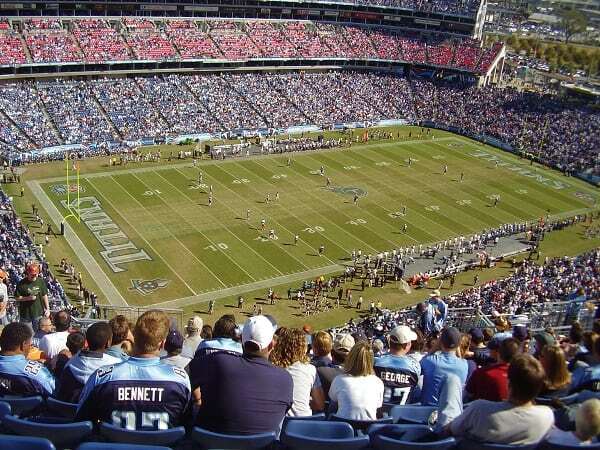 Early Sunday afternoon, we have a cross-country battle between the Oakland Raiders and Tennessee Titans. Who has the best odds in this one? Sports Information Traders went 8-2 in the first two weeks of the season in the Westgate Las Vegas Supercontest; learn more here! Both the Raiders and Titans are 1-1 heading into Week 3. While both have had impressive one-point victories (in Week 1 for Oakland, and in Week 2 for Tennessee), they’ve gotten to where they are in much different ways. Oakland, this game’s road team, went into New Orleans in Week 1 and pulled out a magical one-point victory on a last-second two-point conversion. The final score was 35-34, and they put up 28 points in a Week 2 loss. The only problem is, this defense has given up 69 points in the first two weeks of the year. That’s troublesome, to say the least, especially since that was expected to be an improved unit with the offseason additions of Bruce Irvin, Reggie Nelson and rookies Jihad Ward and Shilique Calhoun. Regardless of whether it’s because they’re still settling in and learning to play together or they’re just playing high-powered offenses, they need to figure it out soon, or a once-promising season could become another average one at best. Tennessee, on the other hand, has had two extremely successful defensive outings. In Week 1, they gave up 25 to the Minnesota Vikings, but 14 of those points came on defensive scores. Really, the defense of the Titans only allowed nine points in that game. They followed up that performance by giving up only 15 points to the Detroit Lions in a 16-15 victory. The question with this team is, though, when will the offense get things going? DeMarco Murray and Derrick Henry comprise a dynamic 1-2 punch at running back, and Marcus Mariota has shown great promise through two seasons, even without very many weapons or a great offensive line in front of him. If they’re going to be competitive this year, the offense needs to start clicking. What better opportunity than against the Raiders defense that hasn’t been able to figure it out? At the crux of the matter, this game will come down to which unit — the Raiders defense or the Titans offense — plays at a higher level. Obviously, it goes without saying that the Raiders are an overall better team. But, the Titans have been competitive through two weeks, and have the home-field advantage, with Oakland having to travel a couple of thousand miles. It’s not hard to see why the Vegas experts have set no line for this game given that context. Bets to Make: pick the Raiders to win this game. In a way, they are the favorites, as when teams are considered evenly matched, the home team has a three-point line in their favor. In this case, no line is present, so the Raiders have that advantage. But also, this defense has the talent to play better, and they will as they get more time on the field together. Oh, and one more final thing to consider: last season, Derek Carr threw two more touchdowns and seven less interceptions on the road than at home. Playing out of town doesn’t bother him and this offense, so you know they won’t be stunned by this improved Titans defense. As for the over-under, take the over, as it’s more likely that this game will become a shootout than a defensive brawl.